Regarded as one of the most important sociological and business commentaries of modern times, The Organization Man developed the first thorough description of the impact of mass organization on American society. During the height of the Eisenhower administration, corporations appeared to provide a blissful answer to postwar life with the marketing of new technologies—television, affordable cars, space travel, fast food—and lifestyles, such as carefully planned suburban communities centered around the nuclear family. William H. Whyte found this phenomenon alarming. Since the time of the book’s original publication, the American workplace has undergone massive changes. In the 1990s, the rule of large corporations seemed less relevant as small entrepreneurs made fortunes from new technologies, in the process bucking old corporate trends. In fact this “new economy” appeared to have doomed Whyte’s original analysis as an artifact from a bygone day. But the recent collapse of so many startup businesses, gigantic mergers of international conglomerates, and the reality of economic globalization make The Organization Man all the more essential as background for understanding today’s global market. This edition contains a new foreword by noted journalist and author Joseph Nocera. In a new afterword, Jenny Bell Whyte describes how The Organization Man came to be written. William H. Whyte (1917–1999) was the author of numerous books including The Last Landscape (1968), City: Rediscovering the Center (1988), and The Social Life of Small Urban Spaces (1980; 2001). 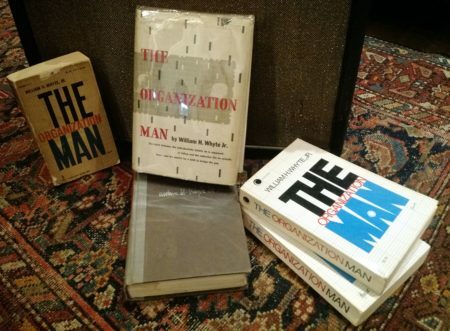 The Organization Man (1956) grew out of his groundbreaking series of articles for Fortune magazine. Educated at Princeton University, he was later Distinguished Professor at Hunter College of the City University of New York. 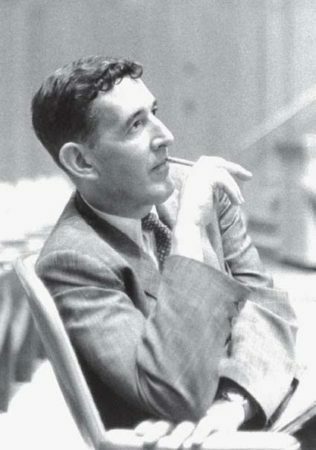 Read more about William H. Whyte. First published by Simon & Schuster in 1956.